Screenshot of the Facebook post by Alligator Brewing. 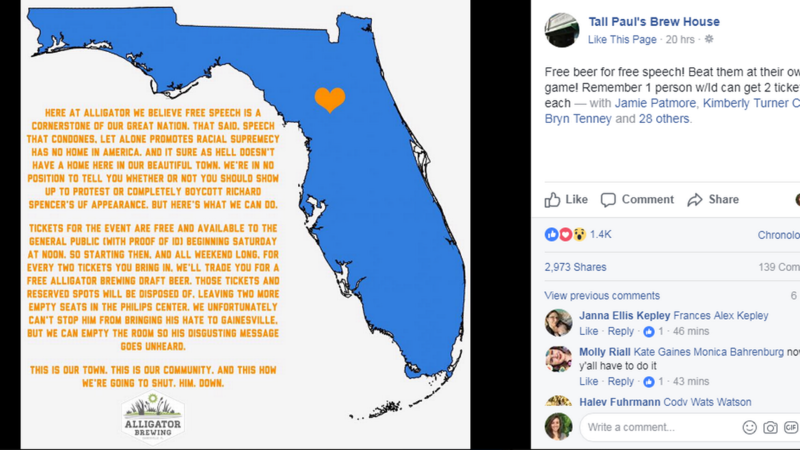 Gainesville brewer Alligator Brewing offered a popular deal to its patrons on Thursday: give it two tickets to the so-called “alt-right” leader’s speech at the University of Florida this week and it will give you a free draft beer. 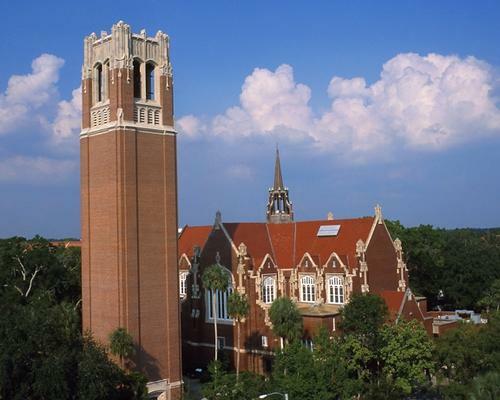 “We unfortunately can’t stop him from bringing his hate to Gainesville,” the message on Facebook read. “But we can empty the room so his disgusting message goes unheard. The only problem with the much-lauded plan? 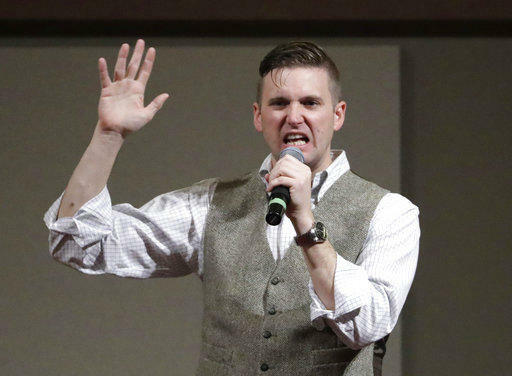 Spencer knows about it. 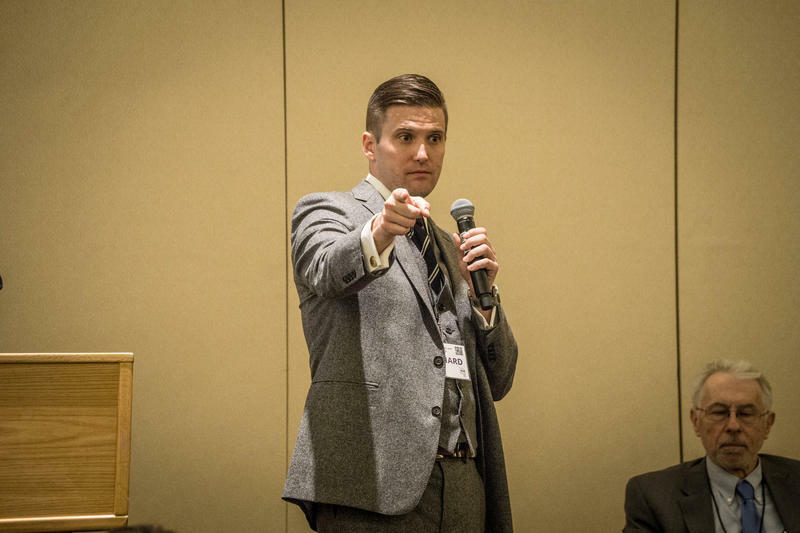 “We’re going to have a system in place to combat that,” said Richard Spencer, who had seen the ubiquitous Facebook post himself. 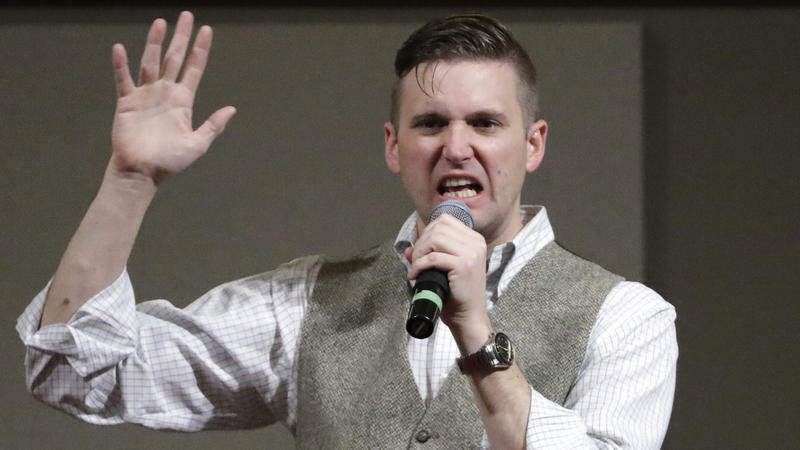 The University of Florida's president is urging students to stay away from a speaking event on campus featuring white nationalist Richard Spencer.